Above and above right are pictures of the Griffin Art Center studio space (6 W. Fifth St.) I now share with Craig Cavin. We transformed the hallway into a gallery space as well and hold open houses on most First Saturdays. I've been interested in art since I was a kid, and drew and painted starting at a very early age. 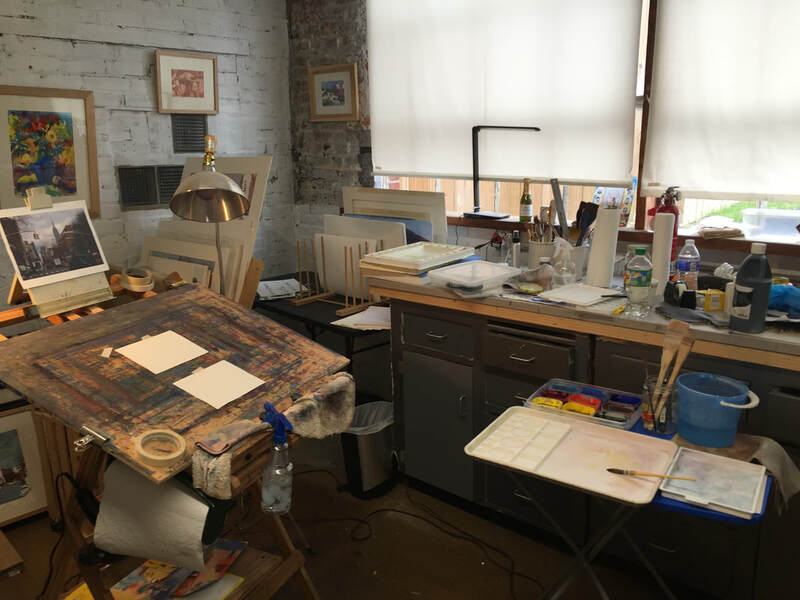 Early on, growing up in Scarsdale, NY, I was mentored by James N. Rosenberg, a lawyer-turned-artist who took me into his studio and critiqued my work. Mr. Rosenberg had a large impact on me, as I recall the overwhelming impression of being in his large oil painting studio surrounded by large oils, pastels, lithographs, and all his materials. He encouraged me and told my parents and I that I had 'real talent', and I am grateful to him to this day. He was in his 90's when I used to visit him. 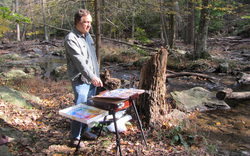 Now, he is buried in Elizabethtown, NY in the Adirondacks where he owned land and loved to paint. In roughly 1995, I began to pursue watercolors more seriously, and enroll in workshops and classes. I studied or attended workshops with painters including Joe Mayer, Mel Stabin, Tony Van Hasselt, Walt Bartman, Frank Webb, Eric Weigardt, and in 2013, Frank Francese and Harold Frontz. Eventually, I developed my own working methods and philosophy that continues to evolve and is impressionistic in nature. I value all the contributions my various teachers have made to my artistic development. 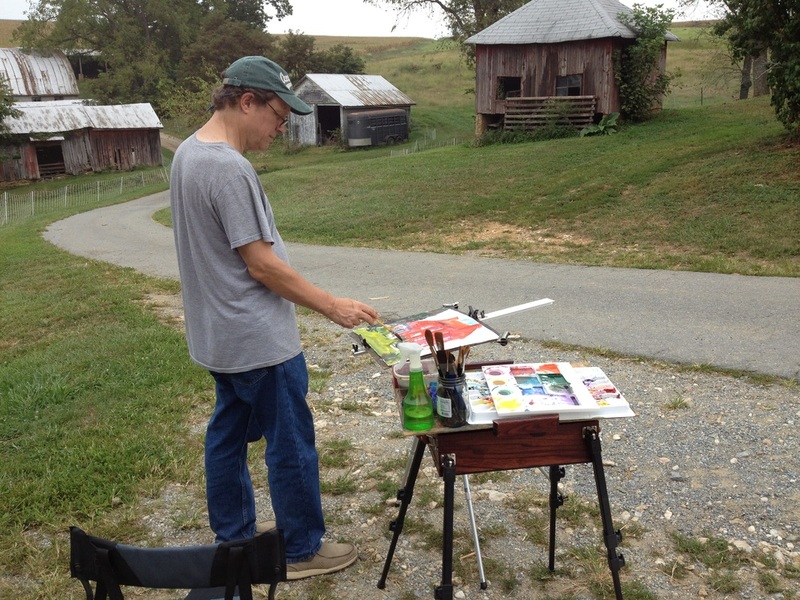 Although mostly a studio painter, I paint outside when I can, and enjoy being a part of a local plein air painting group. 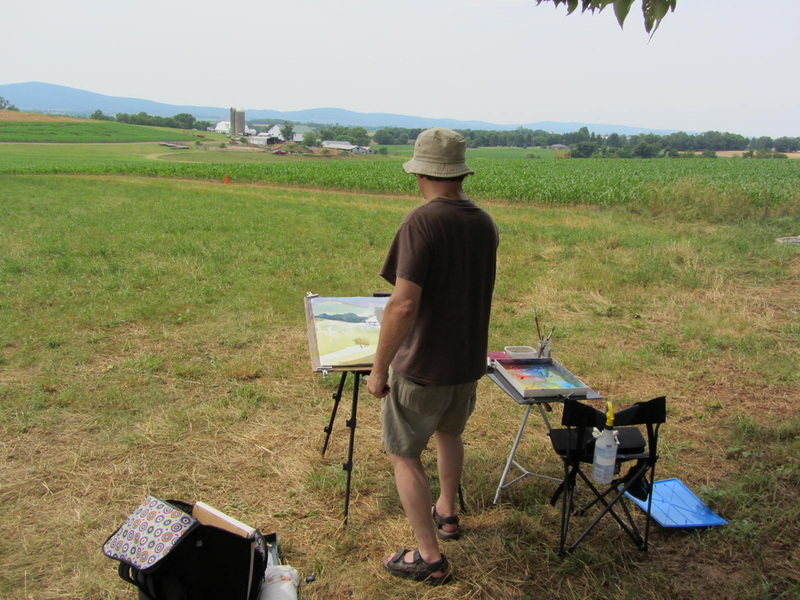 I have participated as a community artist in 'Easels in Frederick', 'Mountain Maryland Plein Air' (Cumberland, MD), and 'Paint It Ellicott City' recently, as well as visiting and painting informally at the Finger Lakes Plein Air event in Canandaigua, NY in June 2014. I value all of the interaction and inspiration I receive from artist friends and colleagues.